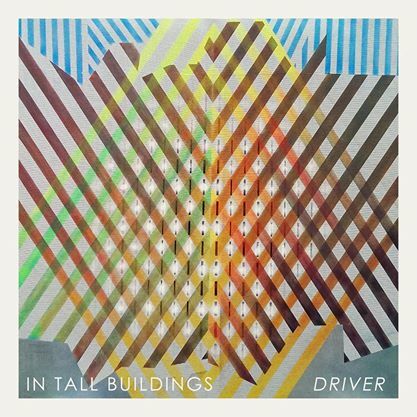 For Erik Hall, the man behind In Tall Buildings, his latest record, Driver, took four years to write, record, and produce, but in actuality it is a twenty-year love affair that began when he was 13 years old and experimenting with his first home recordings. Throughout his terrific sophomore album, you can hear inspiration from a score of artists in that time period, as Hall assembles every minute detail to compile an album that immediately feels timeless yet refreshing and new. It is, in some respects, Hall’s life story told through a series of songs, where each and every moment and experience contributes to a final event that is memorable and epitomizes one’s growth. On Driver, the album’s first nine tracks feel like a prelude to the wonderful closer, “Pouring Out“. It is a spellbinding, hypnotic track that combines the warm, intimate sounds of ’80s rock mixed with today’s dreamy indie pop and ambient textures. Another way to think of the track is to imagine the mastery of The War on Drugs’ interpretation of ’80s music blended together with the lush sounds of Washed Out. The music is perfect for the wistful lyrics that celebrate the innocence of youth. The melancholic tone is commonly heard throughout the album. “All You Pine“, in particular, has the beautiful lull of The Photo Album-era Death Cab for Cutie. “Flare Gun” also has the feel of another Ben Gibbard-involved band, The Postal Service, with its gorgeous indie pop supported by shimmering beats. It’s a song that may induce one to close her eyes and just smile. “Bawl Cry Wail” is similarly a terrific, smile-inducing track. The opening song infuses the tambourine, a strumming electric guitar, and a little bit of keys to create a psychedelic-pop feel. With “Unmistakable”, Hall takes a different approach, creating a track that feels cinematic and haunting due to the emphasis placed on the rhythm section to support Hall’s unique voice. Yet, it is a captivating track that recalls the excellence of Craft Spells. Hall and his bandmates further extend themselves on “I’ll Be Up Soon”, a dark, down-tempo thumper that is unlike anything else on the album. Then again, Driver is unlike any album released so far this year that expands musical horizons to reach the inner depths of the soul and subconscience, a testament to the greatness of the Chicago-based songwriter and his music. Driver is out Tuesday, February 17 on Western Vinyl. Purchase it at the Western Vinyl store, iTunes, and Amazon.